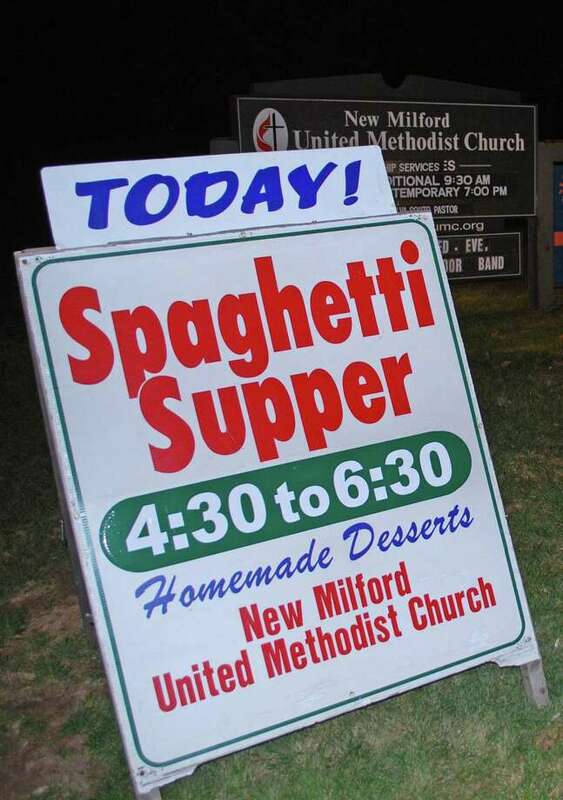 The New Milford United Methodist Church's monthly spaghetti suppers are open to the public. The next one will be April 13, 2019. The New Milford United Methodist Church will hold a dinner the second Saturday of each month from 4:30 to 6:30 p.m., with the next one set for April 13.